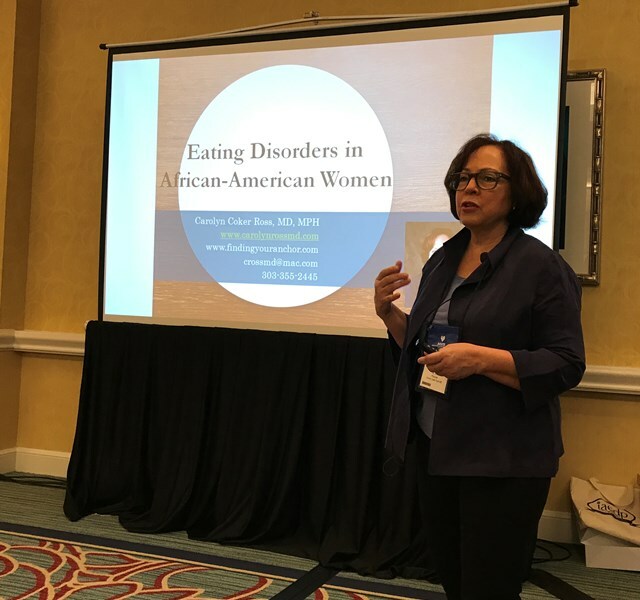 Dr. Carolyn Coker Ross is an internationally known author, speaker, expert and pioneer in the use of Integrative Medicine for the treatment of eating disorders, obesity and addictions. She is a graduate of Andrew Weil's Fellowship Program in Integrative Medicine. She is the former head of the eating disorder program at internationally renowned Sierra Tucson. Dr. Ross is a consultant for treatment centers around the US who want to include her unique integrative medicine approach to help clients recovering from eating disorders and addictions. 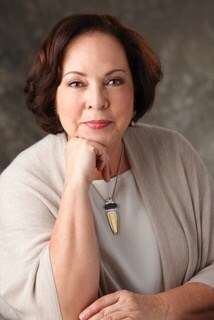 She is the author of 5 books, the most recent of which is The Food Addiction Recovery Workbook. Dr. Ross is the CEO of The Anchor Program™, an online coaching program for obesity and binge eating disorder. She currently has private practices in Denver and San Diego specializing in Integrative Medicine for treating eating disorders, addictions, mood and anxiety disorders and obesity. She is available to speak at corporate events, speaking conventions, medical conferences, educational conferences. Almost half of people in the US are living in chronic pain or with some kind of chronic illness that impacts their physical and mental well-being, causes stress and can reduce productivity and happiness levels. Realities may include coping with ongoing pain, exhaustion, decreased brain function, irritability, absenteeism, stress trying to catch up anymore. As a result, workplace relationships and productivity are strained. Distractions come in many forms from stress eating, smoking and being obsessive compulsive all the way to alcohol and drug addictions. These distractions cause a decrease in energy levels, an increase in anxiety and the inability to think clearly which in turn creates strained communication amongst co-workers and a compromised quality of work. Tight deadlines, the ongoing pressure to perform and navigating differing personalities amongst co-workers can increase stress and anxiety in the workplace. When tensions are high, brain function decreases which causes cloudy thinking, an increase in conflicts and loss of productivity. 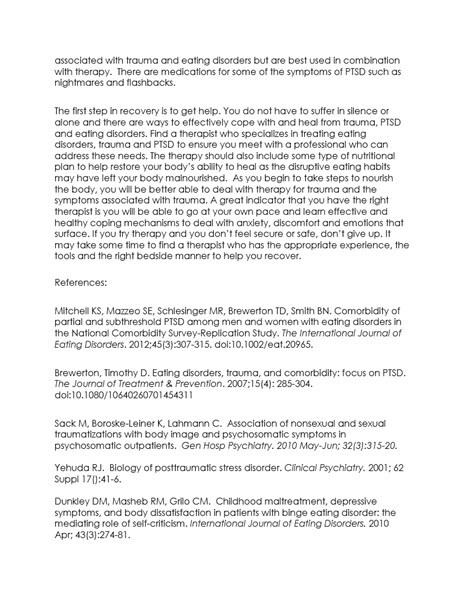 Eating disorders (ED) and substance use disorders (SUD) co-occur in many individuals. This workshop emphasizes the importance of treating ED and SUD simultaneously as well as treating the underlying neurobiological, physical and traumatic causes of both. Dr. Ross will offer a specific integrative approach to heal brain, body and spirit. The statistics are overwhelming. Sixty-five percent of Americans are either overweight or obese. Despite the "war on obesity," these numbers have continued to increase over the last two decades. More Americans than ever express confusion about what to eat, when to eat and how much to eat. In this seminar, Dr. Ross will discuss the truth about health risks associated with obesity, why no food is bad food and how to deal with food cravings. She will also discuss integrative medicine therapies for obesity including ways to heal the gut, the use of herbs, vitamins and alternative therapies. in every industry no matter what your role, you can experience burnout. Often the most successful people find themselves inexplicably tired, drinking more than usual, experiencing depression or anxiety that interferes with thei work and home life. Burnout has both physical and emotional manifestations. This presentation will offer an overview of burnout and how it impacts productivity, ruling out medical issues that can mimic burnout and specific strategies that can be used to prevent and treat burnout. Please note Carolyn Coker Ross MD will also travel to Poway, Rancho Santa Fe, Escondido, Del Mar, San Marcos, Santee, Solana Beach, Cardiff By The Sea, La Jolla, Encinitas, El Cajon, Lakeside, Ramona, La Mesa, Carlsbad, Vista, Lemon Grove, Spring Valley, Oceanside, Valley Center, Alpine, Coronado, Bonsall, Lincoln Acres, National City, Bonita, San Luis Rey, Chula Vista, Pauma Valley, Jamul.